Bubbly subtle sweetness. 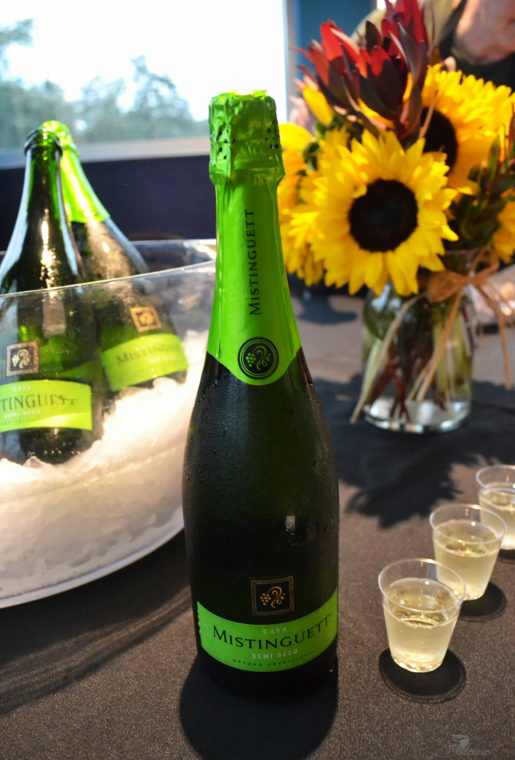 This Cava Mistinguett paired wonderfully with the chocolates. 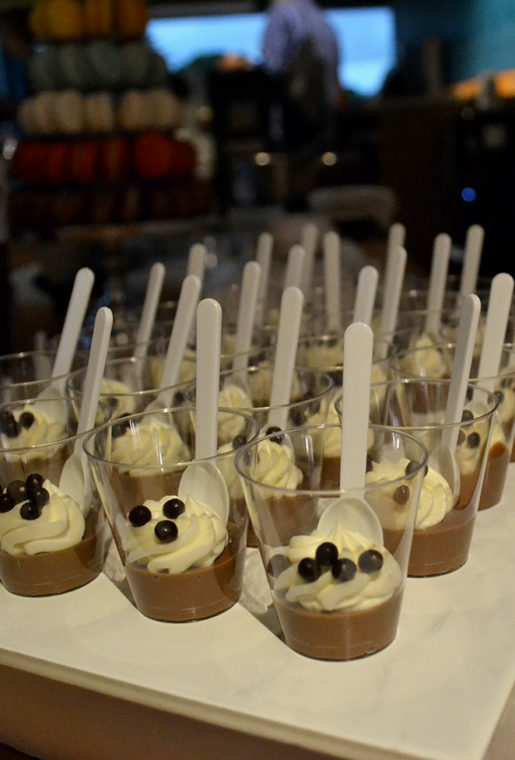 Creamy Chocolate Pot De Creme created by Haute Sweet Patisserie’s Chef Gianni Santin. Haute Sweet Patisserie also won Best of Big D Dessert 2016! 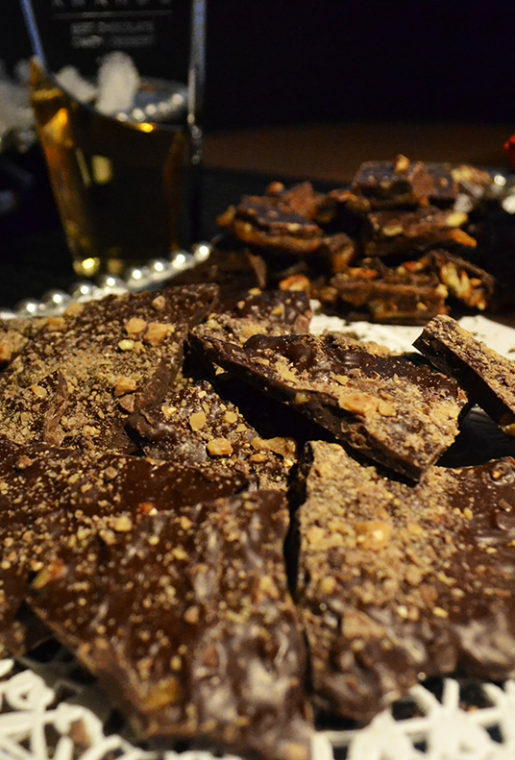 Dark chocolate toffee bark from Isabelly’s Chocolates & Sweet Treats. She also had an amazing dark chocolate and caramel covered dried red chili pepper that simply moved me. Eileen’s Praline is a special sweet mix of graham crackers topped with butter, brown sugar and Texas pecans. 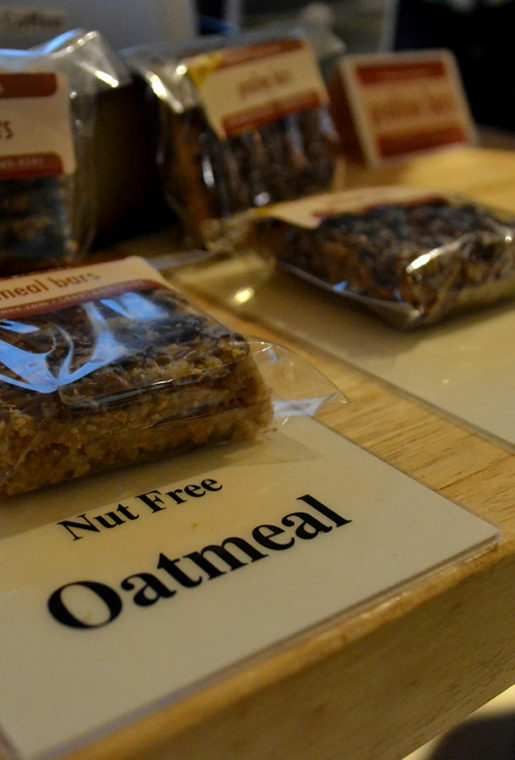 The praline bars are made in several different flavors. 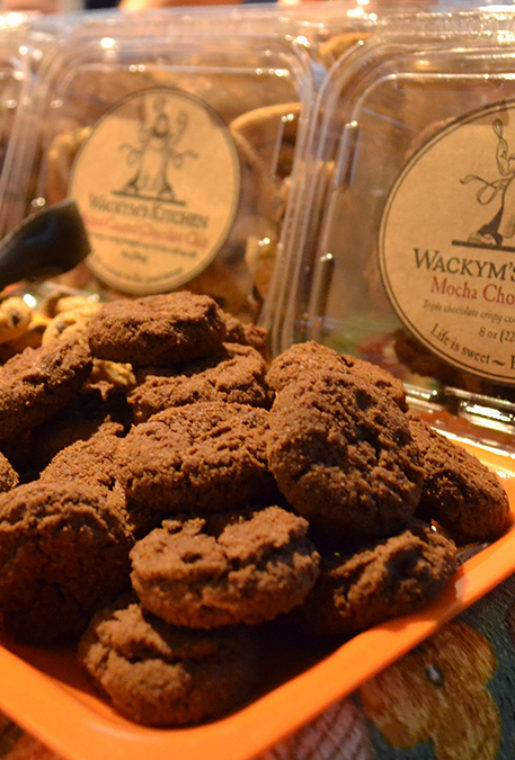 The infamous Wackym’s Kitchen Cookies which are made locally. Dark chocolate and caramel befriend dried deep red chili peppers is the kind of fiery love story that your sweet tooth always hoped for, but never knew existed. That’s just one of the sweet tales that came alive during the kick off for this year’s media kickoff event for the Dallas Chocolate Festival. Held upstairs at Whole Foods in Addison, several chocolate delighters and makers came together for a little indulgence. Confectioners and chocolatiers included Isabelly’s Chocolates and Sweet Treats, Dr. Sue’s Chocolate, Eileen’s Praline and Wackym’s Kitchen. During the evening Best of Big D 2016 Dessert Winner, Chef Gianni Santin of Haute Sweet Patisserie lured guests into chocolate charm with his live demonstration of Chocolate Pot de Crème. The final product was a smooth, creamy, chocolatey masterpiece. Tickets are currently on sale for this year’s “Lights, Camera, Action” themed chocolate celebration. The weekend begins Friday with a red carpet premier screening of the documentary, Bean to Bar: A Film About Artisan Chocolate. During the film, guests can partake in Solbeso cocktails, eats from FT33/Filament and of course chocolate from the concession stand. On Saturday, during the main event it’s all about the chocolate! Enjoy samples and demonstrations, from over three dozen chocolatiers and chocolate makers. Finally, the sweet weekend rounds out on Sunday with hands on chocolate making classes. Students will learn to make some of their favorite chocolate treats and bars with industry experts and even take home their completed projects. The last class of the day will be a chocolate tasting workshop. Get $5 off your ticket to Saturday’s main events using coupon code CHOCOLATEBYTES.